The Boy Scouts of America is one of the most prominent and largest youth development organizations in the nation. Organized to build character among young people, it is uniquely designed to offer participants activities that promote character development, survival skills, physical fitness and essential life skills. 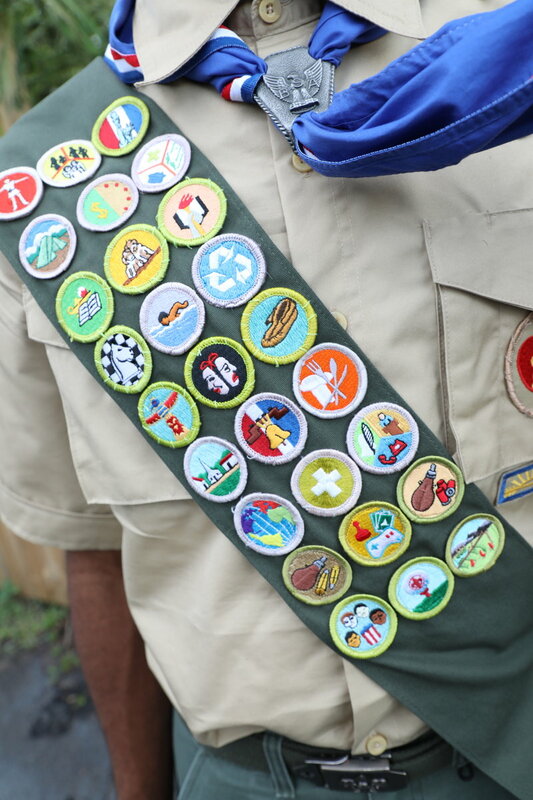 Boy Scouts of America’s membership stands at about 2.4 million members. 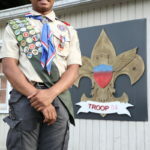 Boys begin with Cub Scouting in first through fifth grade, followed by the Boy Scout’s flagship program for boys ages 11 to 18 and ending with the ultimate accomplishment of becoming an Eagle Scout. Acquiring this honor is no easy accomplishment. As a matter of fact, only 4% of the nation’s Boy Scouts actually reach this status and only 1% of the “Top Scouts” are African-American. 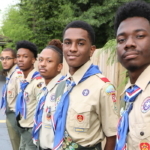 Demarko Hooper, Cabral Jeter, Joshua Owens, Matthew Thacker and Nicholas Wilborn accepted the challenge and have risen to the decorated level of Eagle Scout. 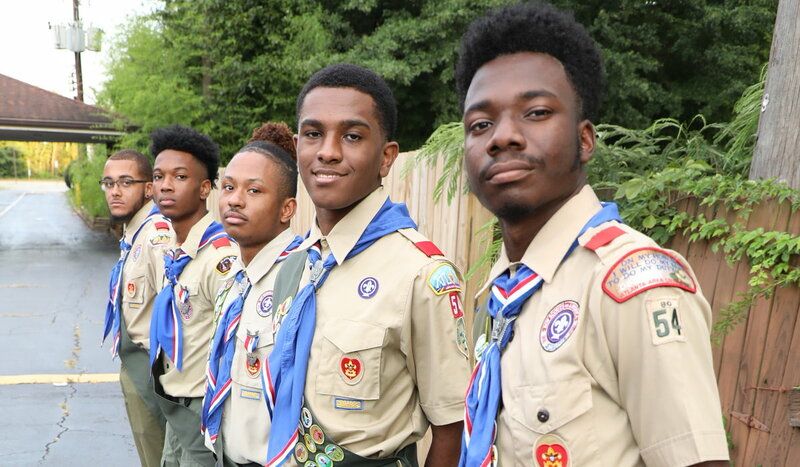 They all have one thing in common—they all started as Tiger Cubs in the first grade and later earned their Eagle Scout rank at Troop 54 in East Point, led by Scout Masters Brent Summers and Phil Owens. 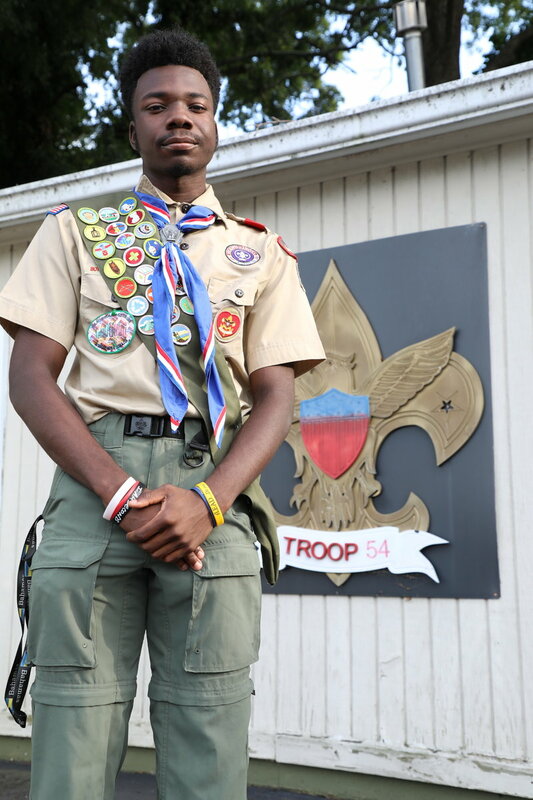 “Becoming an Eagle Scout was one of the last promises I made to my mother who passed away,” says Demarko. “My mother signed me up for scouting when we moved to Atlanta in 2005.” Demarko’s mother, Sandra, was an active volunteer with Pack 3310 and Troop 54 until her passing in 2011. “I learned so much during my matriculation through scouting. I made dear friends and if it weren’t for Miles and Matthew Thacker and their mother, Ms. Mia, who was like a second mom to me, I wouldn’t have accomplished this honor,” Demarko adds. 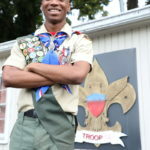 “One of the most important skills I learned from scouting was time management. Demarko graduated from Riverside Military Academy in Gainesville, Georgia, and is currently a sophomore attending Howard University, where he is majoring in Theater Arts with a concentration in acting. 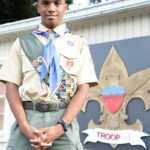 Cabral says that completing his Eagle Scout project was most exciting. He built a student sustainability deck at his boarding school. Cabral credits the accomplishment to all of the experiences he shared with his friends while working on numerous projects. Cabral says it was tough for him, because while his parents lived in the South Fulton area, he lived out of state. 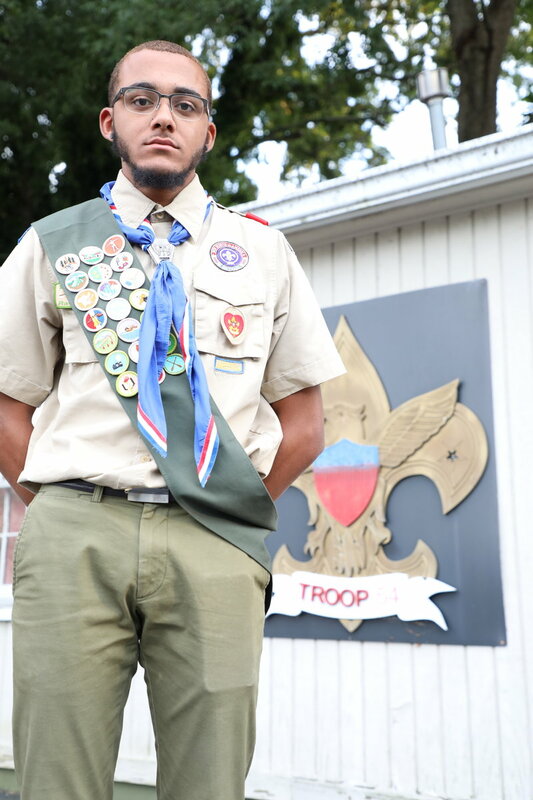 “I attended boarding school at West Nottingham Academy in Colora, Maryland, for four years, and every summer I had to play catch-up to get my Boy Scout assignments done,” Cabral says. “I was also involved in required extracurricular activities, and learning how to excel while managing it all has prepared me for my future endeavors. Cabral is now a freshman attending North Carolina A&T State University and majoring in Political Science. 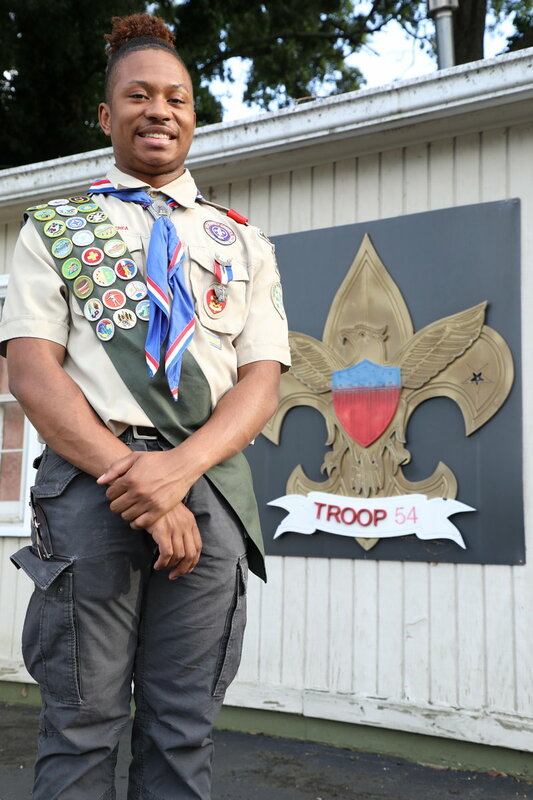 “My path to becoming an Eagle Scout has been one of hard work and fun, strengthening my leadership and communications skills,” Joshua says. 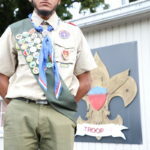 Joshua, like all other Eagle Scouts, has many merit badges for successfully completing specific requirements. 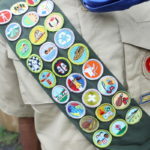 Of all the merit badges he’s earned to accomplish the honor, the wilderness survival badge is his favorite. “I actually participated in the survival activity twice because I enjoyed it so much. The first year I made a lean-to shelter with branches and rocks. I slept in the shelter overnight, and the second year I built a giant dome structure with a few other scouts,” Joshua says. Joshua attends Our Lady of Mercy Catholic High School and plans to attend Georgetown or Vanderbilt University upon graduation in May 2019. Matthew was influenced to join scouts by his older brother, Miles, who earned the rank of Eagle Scout in 2017. “I became very interested in scouting after seeing my brother and Nicholas’ brother, Peter, participating in scouts. Both of them are Eagle Scouts and have set such good examples for me and my friends,” Matthew says. 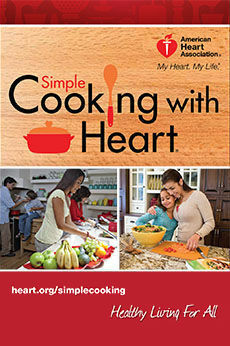 “It’s very easy to lose focus and drop out of scouting because it’s a 12-year journey, if you start from Cub Scouts. It wasn’t easy to keep going, but the friendships I’ve made and bonds I’ve developed with my scout brothers have made a difference in my life,” Matthew says. Matthew’s favorite merit badge activities were survival skills activities and swimming. He graduated from Westlake High School and is a freshman attending Savannah State University, where he is majoring in Civil Engineering. 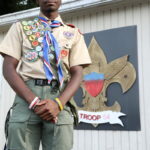 Nicholas says the requirements for becoming an Eagle Scout promote persistence, creativity and the ability to develop and implement a plan from beginning to end. 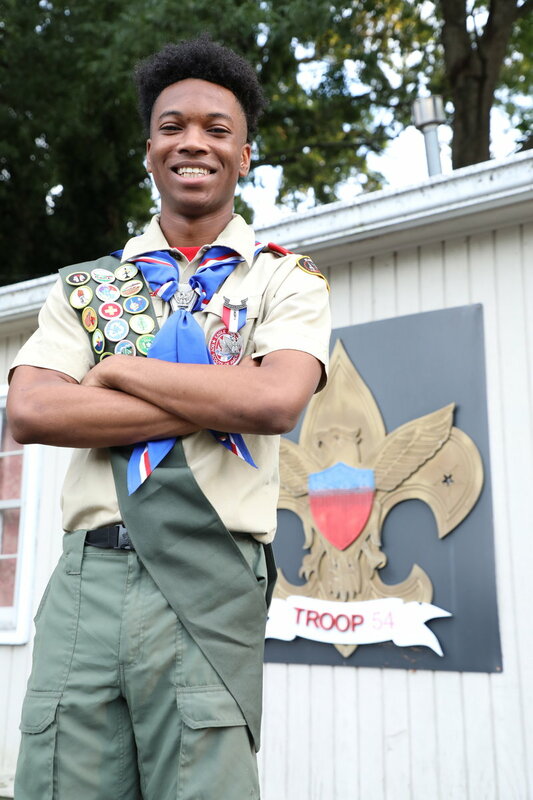 “I want more African-American young men to realize that being an Eagle Scout prepares you for the real world,” Nicholas says. “You learn how to face situations and challenges head-on. 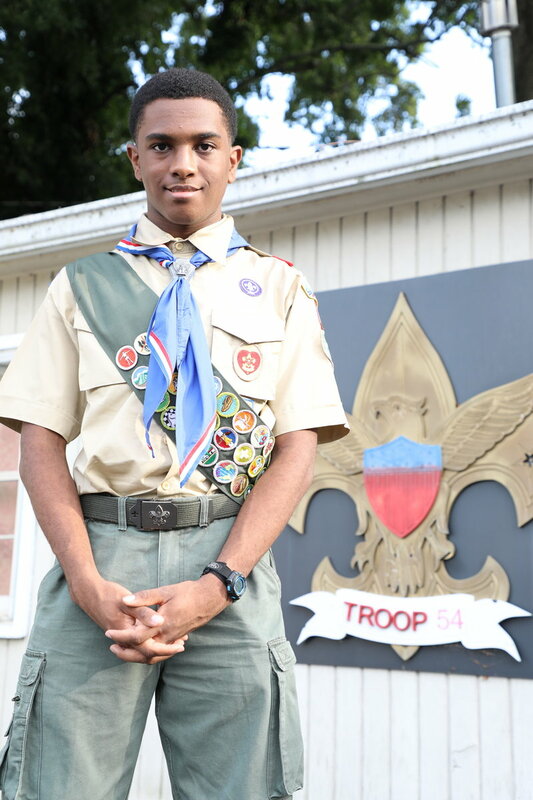 Being an Eagle Scout represents that I am an ideal citizen and it’s taught me the important lesson of being a responsible young adult.” Nicholas graduated from Westlake High School’s Magnet Program with a 3.8 GPA. He is a freshman attending Morehouse College and majoring in Applied Physics. 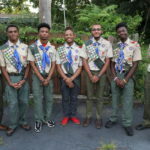 All five of these young men agree that the parents who volunteered were major contributors to their success and that countless volunteer hours and sacrifices made by their parents ensured they achieved their scouting goals. 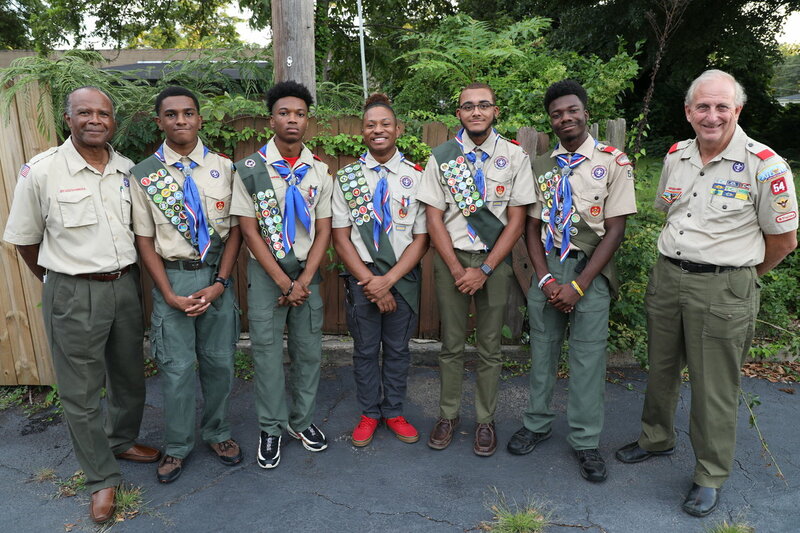 Troop 54 is one of the few in the Atlanta Area Council that has held a charter for over 90 years, with current sponsor, East Point First Mallalieu United Methodist Church. 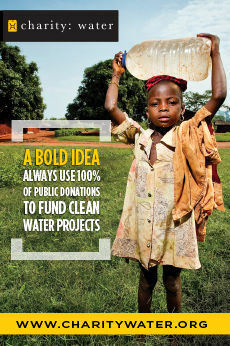 For more information, send inquiries to troop54@mail.com.